The 68th Session of the World Health Assembly met in Geneva from 18 to 26 May 2015. See the Official Page. PHM was at the WHA through its initiative, WHO Watch. To know more about WHO Watch follow the link here. 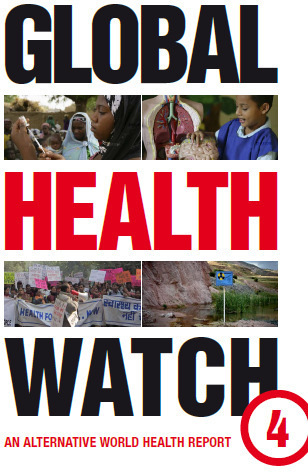 Several civil society organisations gathered at the launch of the alternative world health report, Global Health Watch 4 at Geneva's Press Club, on 20th of May 2015. The launch was accompanied by a panel discussion on the ‘Impacts of trade and investment agreements on health’ (see the full video here). Geneva, 19 May 2015: Ahead of the first meeting of the drafting group on Framework for Engagement with Non-State Actors (FENSA), Civil Society Organisations and Social Movements expressed their deep concern on attempts to facilitate corporate takeover of WHO. The 136th Session of the Executive Board of WHO will meet in Geneva from 26 Jan to 3 Feb 2015. See the Official Page. With the world still battling the Ebola outbreak, the evidence of a clear link between the inability of affected countries to deal with the crisis and the collapse of public health systems is becoming stronger. Organise a launch in your own region. 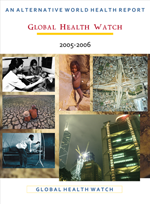 Which publication is the Alternative World Health Report? The 64th Session of the WHO's Regional Committee of Africa will meet in Cotonou, Benin from 3-7 November 2014. The PHM has developed a commentary on selected agenda items in front of this meeting. Among these items is Ebola outbreak in West Africa.